Johann G. Ohly, M.D. is a board certified ophthalmologist, specializing in glaucoma, cataracts, and general ophthalmology. 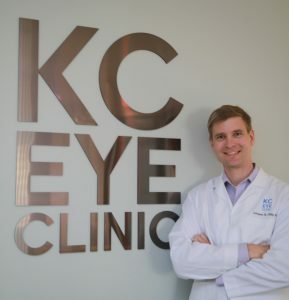 After attending college and medical school at the University of Chicago, he completed his residency in ophthalmology at Loyola University Medical Center in Chicago in 2007, and a glaucoma fellowship at University Eye Specialists in 2008. Dr. Ohly is a member of the American Academy of Ophthalmology and the American Glaucoma Society. Dr. Ohly, an early proponent of laser-assisted cataract surgery, has years of experience performing over 1000 cataract procedures using this precision technology. Dr. Ohly also utilizes a diverse array of glaucoma surgical procedures, including multiple minimally-invasive approaches. Incidental Learning in Patients with Multiple Sclerosis. Applied Neuropsychology, 16:165-168, 2009. Ohly JG. A Historical Perspective on UGH Syndrome. Glaucoma Today, May/June 2013.